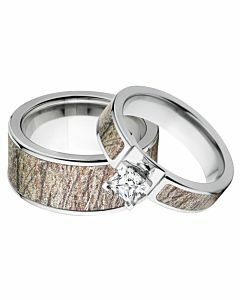 This page shows our most popular ring sets, including Camo Rings, Animal Tracks, Exotic Wood Rings, Antler Rings and our Duck Band Sets. Each pair is crafted together to make sure they match and embody the same characteristics, ensuring your matching rings are the perfect pair. 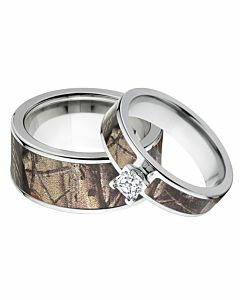 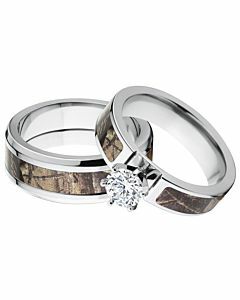 TJS Camo Rings & ring sets are manufactured here in the USA by skilled jewelers who understand the quality and care that needs to go into crafting the most unique wedding bands on the planet. 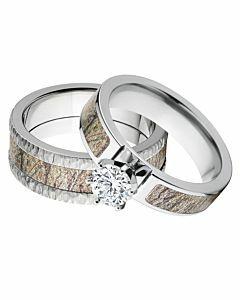 When you buy a matching pair of rings from The Jewelry Source we add an additional cost savings, ensuring great value for our customers. 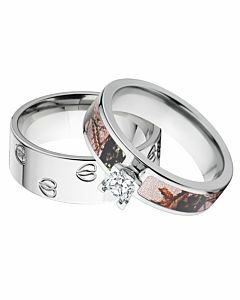 The Jewelry Source offers all Mossy Oak & Realtree Camouflage patters in the largest selection of metals around. 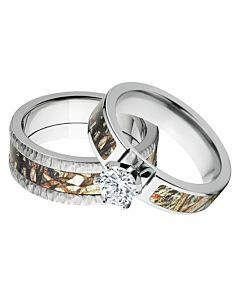 Working with the Jewelry Source allows you to find that perfect Camouflage Ring set with the best warranty around. 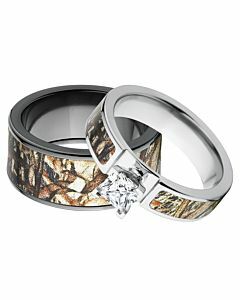 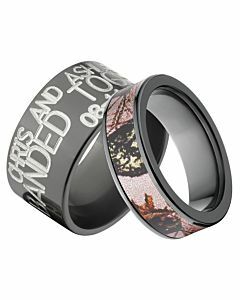 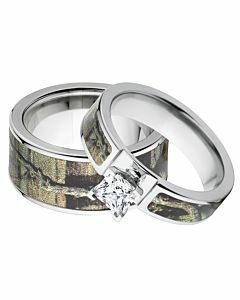 In addition, all of our camo rings are licensed with official patterns. The Jewelry Source offers the most comprehensive sizing around. Wether you are a size 4 or a 17 we can make it for you. 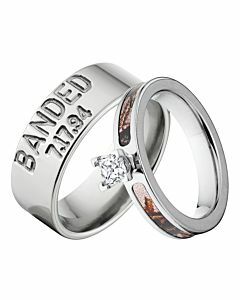 We also include half and quarter sizes with our all of our Matching Ring sets. 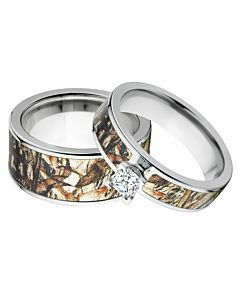 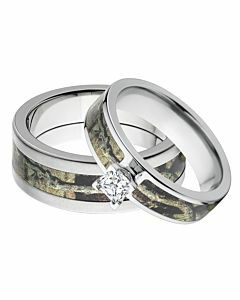 All of our ring sets, including our camo rings are made right here in the USA so if you have any special requirements please chat with us below. 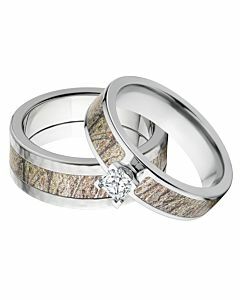 We would be happy to customize your rings or help you find the best ring for your circumstances. 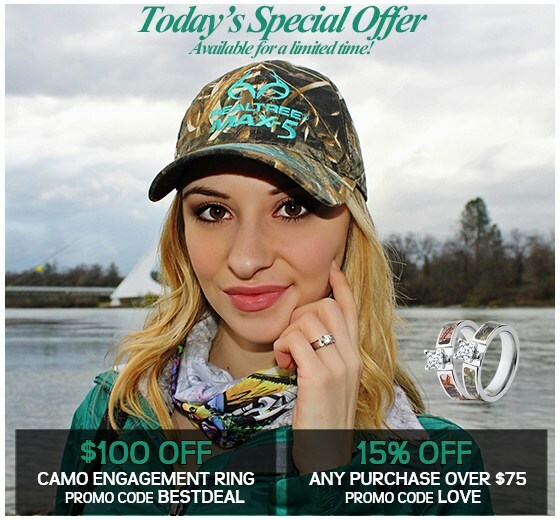 We have a whole range of pricing and options available with a few clicks of the mouse. 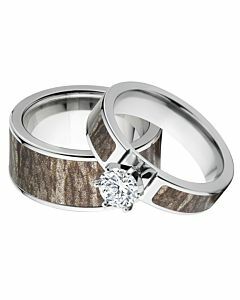 The Jewelry Source offers ring sets in the following metals: cobalt, 14k gold, 10k gold, platinum, zirconium, titanium, damascus steel, mokume and the list goes on. 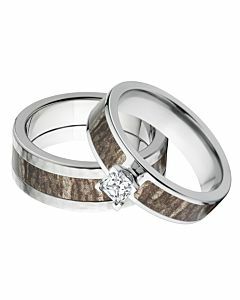 With The Jewelry Source, you can get the exact matching ring set you want in the pattern and metal that fits your lifestyle the best.